In many applications the Alfa Laval Rotary Jet Mixer provides a faster and more efficient mixing than conventional methods. It combines high blending precision with minimized mixing times and up to 50% reduction in energy requirements. Based on rotary jet head technology, it can be used in tanks between 100 and 800,000 liters in size. 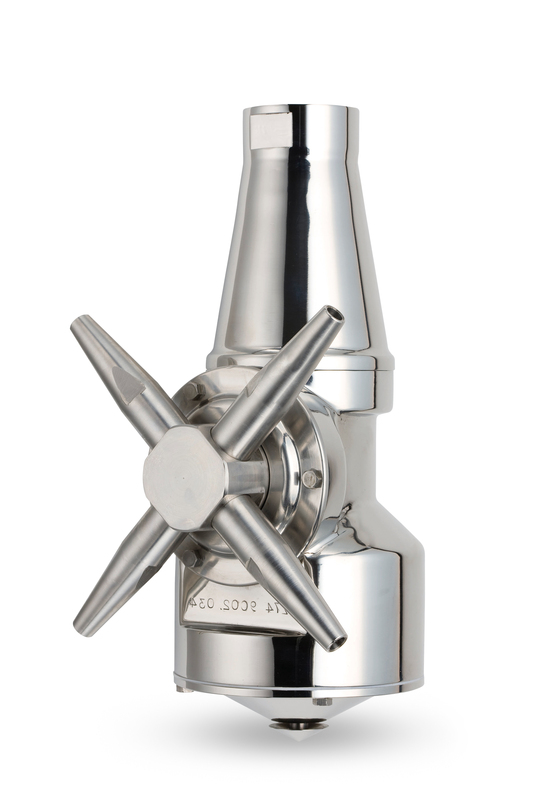 Equipped with two or four nozzles, the Rotary Jet Mixer is positioned below liquid level in the tank. Liquid is withdrawn from the tank outlet by a pump and circulated via an external loop to the mixer. It helps reduce operating expenses while achieving fast and efficient mixing. A single Rotary Jet Mixer can handle liquid mixing, gas dispersion and powder dispersion applications – plus tank cleaning – without requiring separate equipment for each process, thereby delivering significant savings.